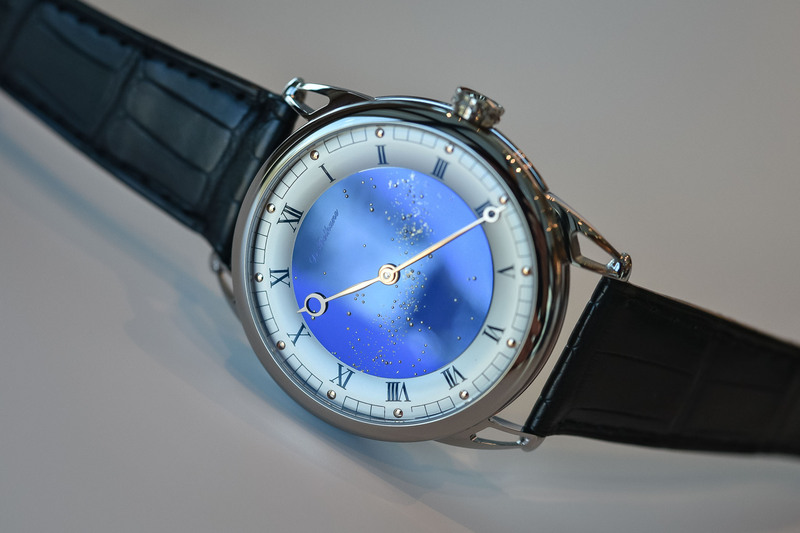 De Bethune’s new DB25 Starry Varius is smaller, lighter and lets you customise the stars. 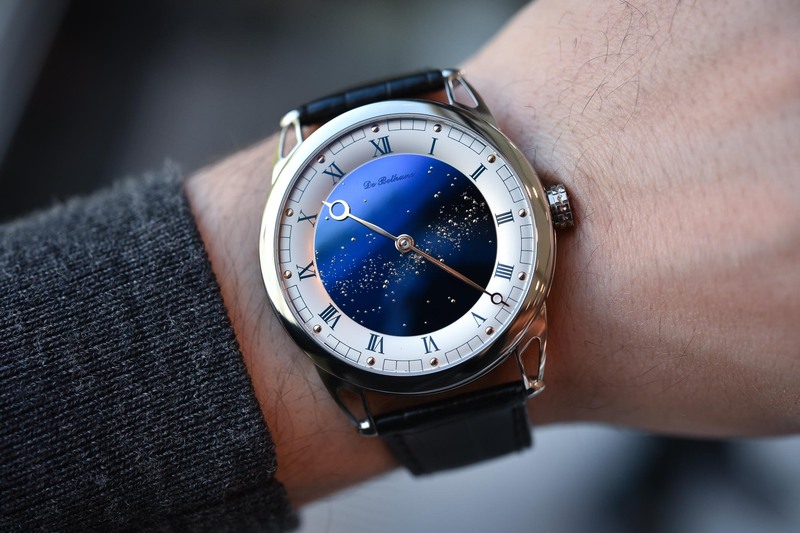 De Bethune’s DB25 Starry Varius is a beautiful tribute to the firmament housed in a smaller, 42mm titanium case with an interesting customisation proposal. Every watch is a unique, one-off model offering you the possibility of customising the night sky to your heart’s desire. After a somewhat unsettled period for the brand, Pierre Jacques is back as CEO, there is a new private equity investor on board, and master watchmaker and co-founder Denis Flageollet can exercise his creativity in the integrated manufacturing facility the brand has in L’Auberson. 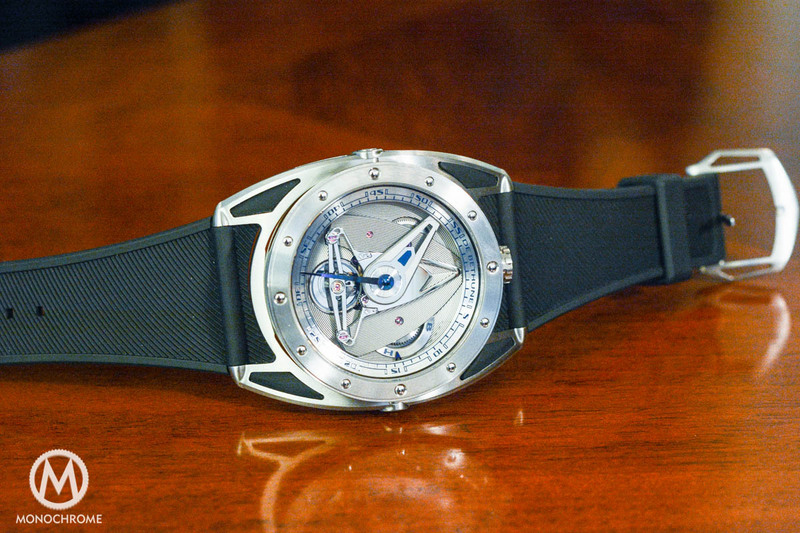 And if the DB27 Titan Hawk V2 and the DB25 Starry Varius are any indication of the shape of things to come, De Bethune is well on its way to writing the next successful chapter in its watchmaking saga. 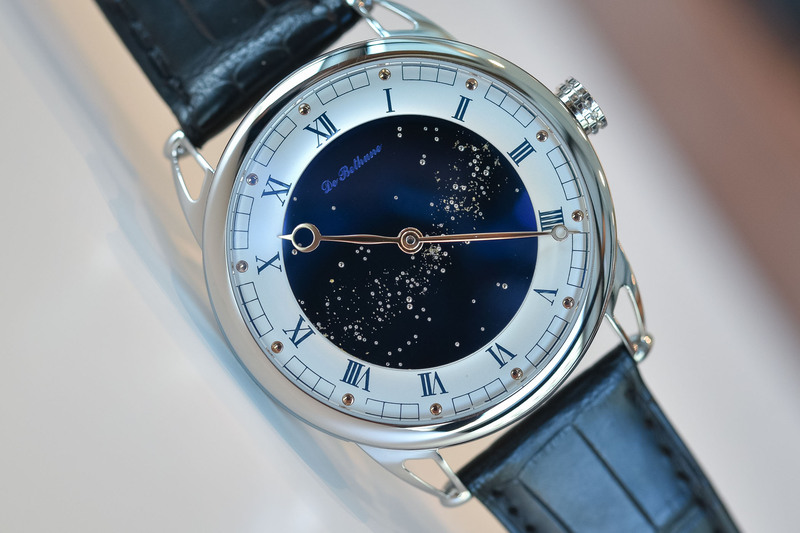 As an unconditional fan of De Bethune’s dream machines that evoke the mysterious beauty of our celestial sphere, I was delighted to meet the new DB25 Starry Varius watch. 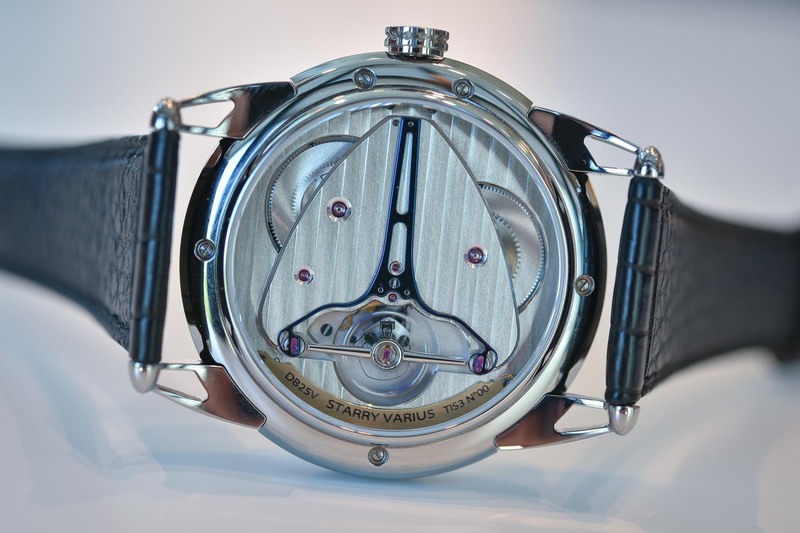 And yes, the name Starry Varius alludes to the famous Stradivarius violins. 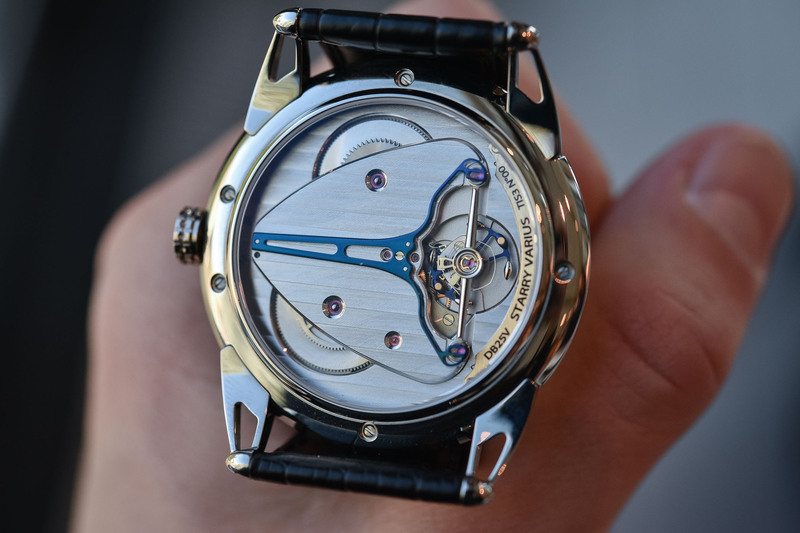 Located in a former music box factory, De Bethune’s manufacture has adopted an approach to watchmaking that is similar to the intensely artisanal approach behind a Stradivarius violin. In the past 15 years alone, Denis Flageollet and his team have created no fewer than 26 calibres, each one fine-tuned for a specific model. Given the extremely limited production numbers – growth for the next three years is set at just 200 watches p/a – this is a stamp of absolute luxury. The name Starry Varius also plays with the words ‘starry’ (for very evident reasons) and ‘various’. 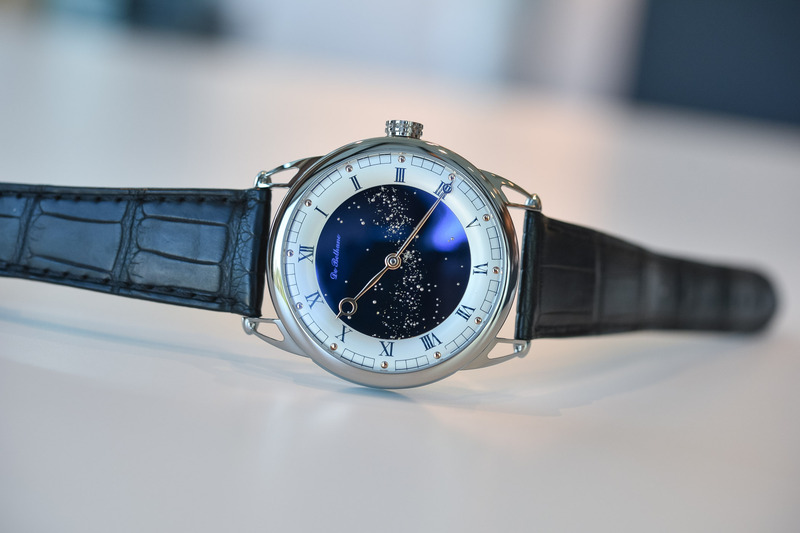 The ‘various’ component of the name refers in turn to the fact that the constellation on the dial of your DB25 Starry Varius can be customised (in various ways) to represent the night sky of your choice. Customisation has been the byword in watchmaking these past three years, but few watch brands can match this original level of personalisation. 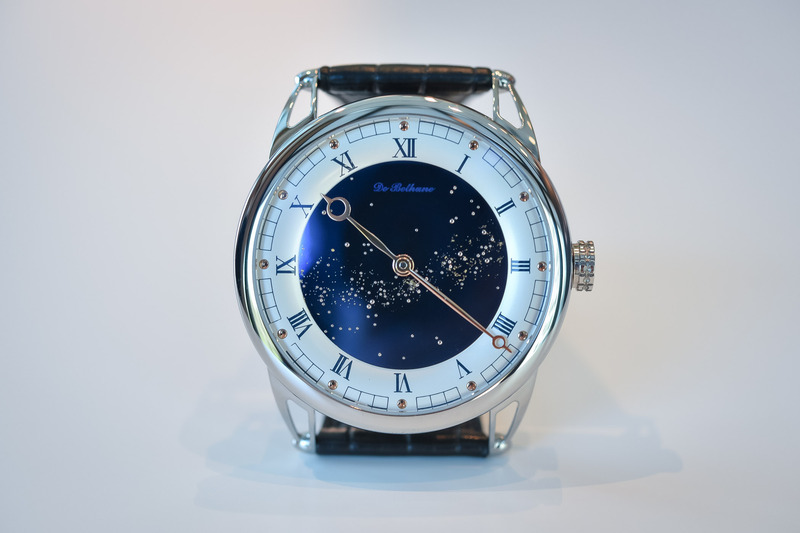 Being able to pimp the dial of your watch with the configuration of stars you want to see is similar in spirit to Patek Philippe’s legendary astronomical pocket watch commissioned by automobile manufacturer James Ward Packard in 1928 complete with a personalised rotating celestial chart with 500 stars (plus loads of other horological goodies) representing the night sky of his hometown in Ohio. The intense electric blue that characterises many of De Bethune’s cosmic dials was discovered by accident when Flageollet and his team were heating titanium balance wheels and noticed how they turned from grey into an intense glowing shade of blue. Flageollet, who started life as a restorer of clocks before embarking on his watchmaking odyssey, has a profound reverence for 18th-century watchmakers and traditions. The rich dial of the DB25 Tourbillon is Flageollet’s 21st century take on the tradition of enamel dials executed in blued titanium that is contemporary and even richer and more intense than enamel. 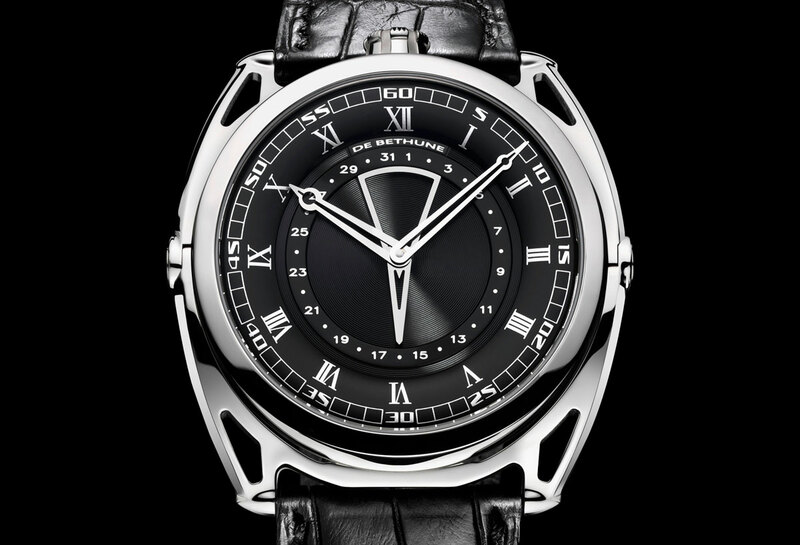 Making the dial is a labour of love and begins with a rough titanium plate that is polished to a perfect mirror finish. The dial is then given a protective lacquer coating and sent to the machine room to be cut, cleaned and oven-blued. Following a second layer of lacquer, the tiny holes to house the stars are perforated in the sky. Pierced with around 100 different-sized stars, each white gold pin is individually profile-turned and features a spherical head. The band of Milky Way and its characteristic haze on the dial is achieved with the application of delicate gold leaf and enhanced by laser beam micro milling. Framing the magnificent electric blue scenery are elegant Roman numerals set on a silver-toned background and punctuated by polished gold bead markers. Every last detail, as is the norm at De Bethune, is finished to perfection and the Breguet-style hands – a good choice so as not to obliterate the background – are crafted in rose gold and hand polished. One of De Bethune’s most veteran models, the DB25 collection is populated by all sorts of complications including a dazzling artistic model with a hand-engraved gold dial of the Mexican deity Quetzalcoatl, all housed in large 44+ case sizes. 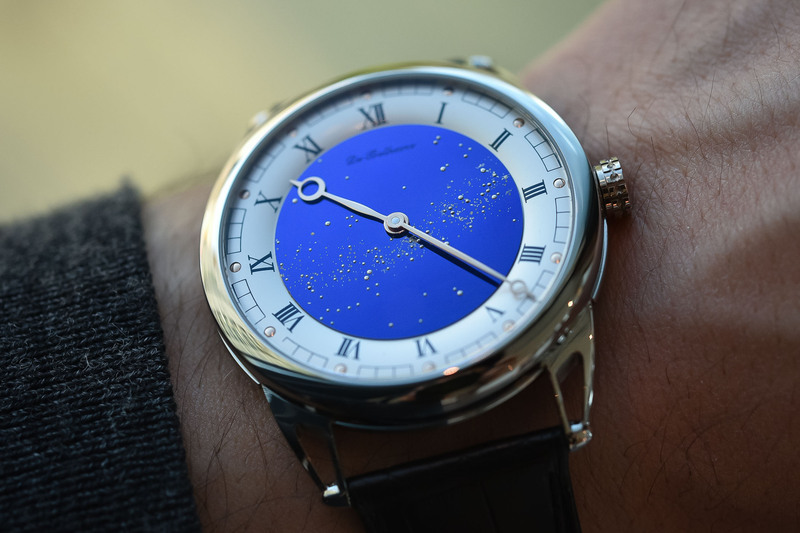 The new DB25 Starry Varius comes in a beautifully polished grade 5 titanium case with a more restrained 42mm diameter and slimmed down to a thickness of just 8.80mm. The watch has also been fitted with new lugs that are integrated into the case and openworked for a better ergonomic fit. 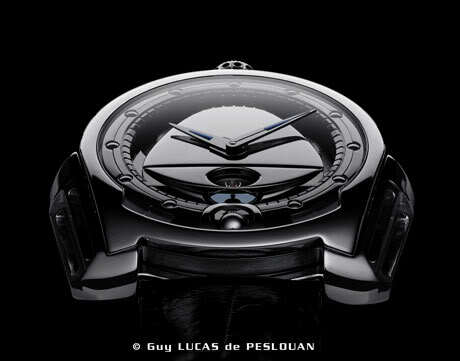 Visible through the sapphire crystal case back is De Bethune’s manual-winding DB2005 calibre for the hours and minutes, an exceptionally beautiful movement that showcases the brand’s innovative breakthroughs in horology and refined finishes. In pride of place is the futuristic main bridge (shaped like a rounded arrow) and decorated with Côtes de Bethune, a specialised in-house finish, along with polished bevelled angles and polished slots for the rubies. Under the main bridge is the self-regulating twin barrel ensuring a 6-day power supply, each barrel decorated with hand-snailed finishes. 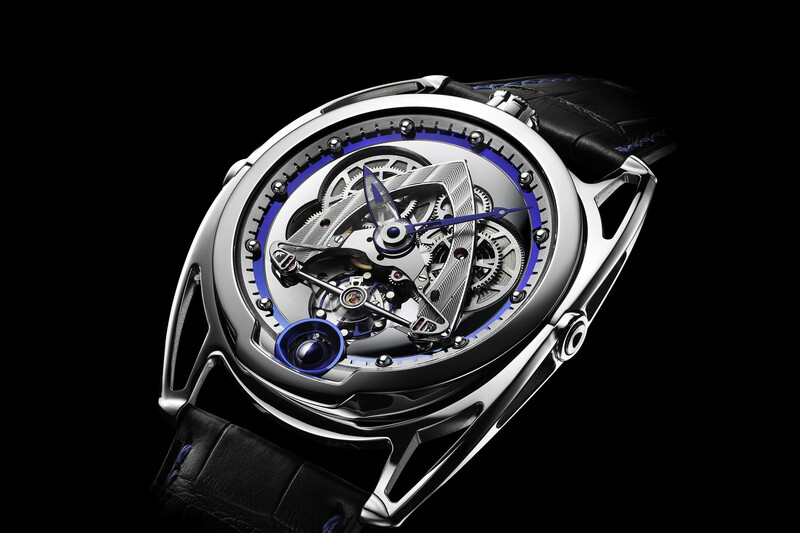 The titanium balance wheel with white gold weights features a silicon escape wheel, a balance spring with a flat terminal curve and the triple pare-chute shock-absorbing system patented by De Bethune. The DB25 Starry Varius is delivered with a supple black alligator strap with a pin buckle in grade 5 titanium and retails for CHF 60,000. More details on www.debethune.ch. Wondrous – I’d prefer the hands in white gold, but I dare say that if I had the cash they would oblige me on such a trivial Variation! Gorgeous, the hands are true works of art. 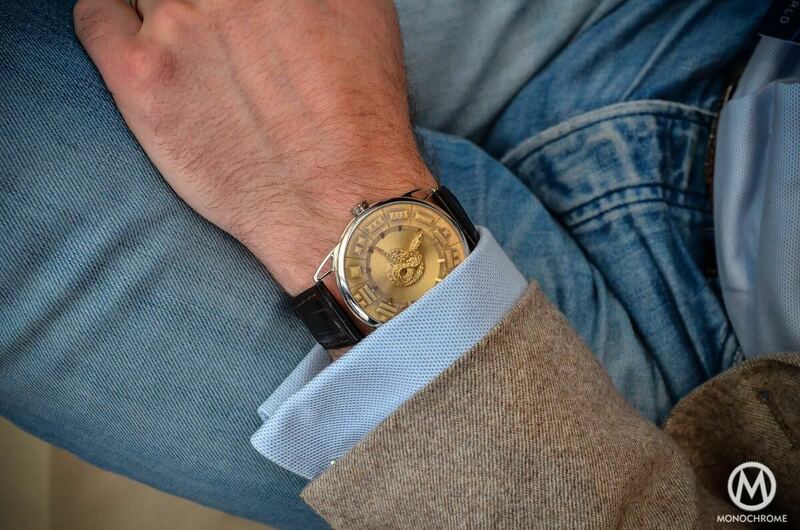 The blue is perfection and the contour on the dial couldn’t be more appropriate or classy. I would wear this in a 40, but this watch may be one of the rare 42’s that is simply so beautiful I don’t care if people stare.